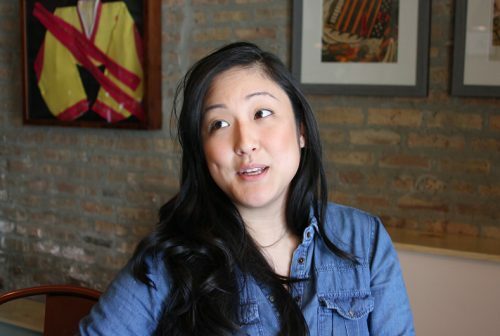 Chef Jennifer Kim comes at her heritage Korean food through an Italian lens. Will Mom & Dad approve? PASSEROTTO MEANS “LITTLE SPARROW,” and it comes from a childhood memory—chef-owner Jennifer Kim was pigeontoed when she was a child. “My dad worked all the time, and the only time we’d spend together was right when I went to bed and he’d come in, and turn my foot so I wouldn’t have this janky little foot that keeps turning in. And he’d call me ‘my little sparrow,'” she explains. It’s a sweet story, and a good way to frame a Korean restaurant built around the flavors you grew up. But notice that, of course, her father would have called her that in Korean—yet the restaurant is named in Italian. 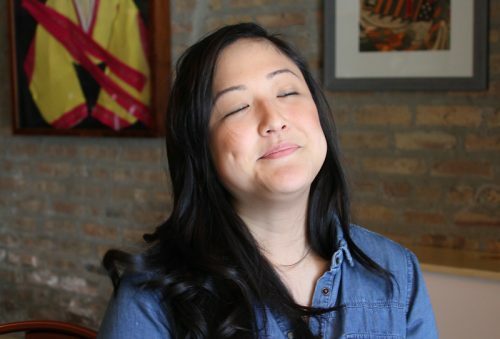 Korean is a cuisine that can be a bit secretive—traditional Korean restaurants often have screens in the windows to protect diners’ privacy, and any adventurous eater in Chicago has, at some point, been bewildered by the array of little plates of panchan laid out before them. So to her mind, she’s using the Italian food that helped her shape her professionally, and is certainly more familiar to Americans, as a way into the Korean food that was part of her life all along. That, of course, sounds dangerously like the F word, fusion, Asian flavors dumbed down and sweetened up for American palates. She insists it won’t be that. “I feel like the Chicago diner, or really the American diner—they’re willing to try cuisines that they’re not familiar with,” she says. 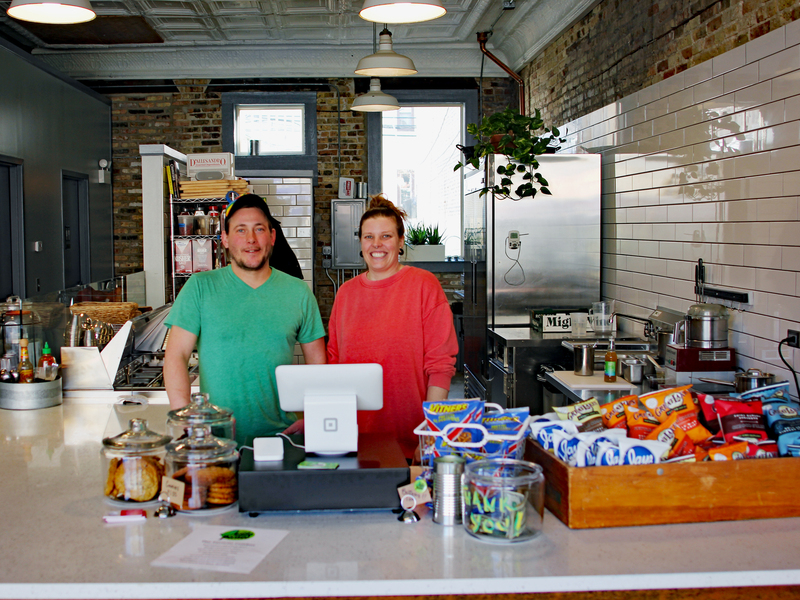 “They’re much more informed, they’re a lot more adventurous than a lot of restaurateurs may think.” At least, that’s the premise she’s going to test—in a location in Andersonville that has been a lot of restaurants over the last decade. 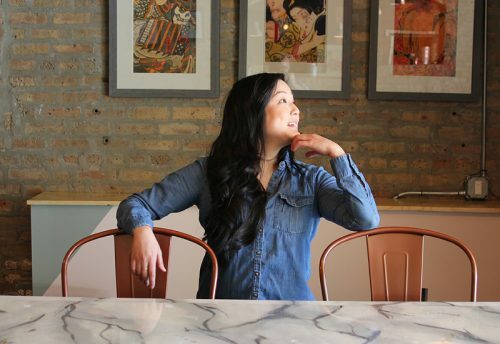 IF YOU KNOW JENNIFER KIM’S NAME—and are not confusing her with Jenny Kim, wife and partner of chef Edward Kim of Mott Street—it’s not for any of the big restaurants she’s worked in but for the smallest, Snaggletooth. 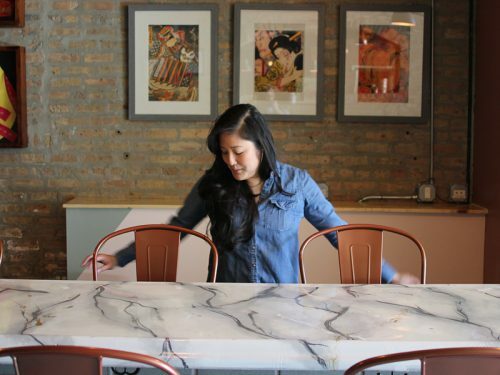 Short-lived, much-loved, the seafood-focused artisan deli in Lakeview was where she and her then-boyfriend Bill Montagne landed after a semi-disastrous less-than-a-year at a now-closed downtown high roller spot called C Chicago. They went from scapegoats to heroes once word went around of the exquisitely cured fish and the sweet, serene atmosphere of the tiny place, decorated with pictures of Buster Keaton and David Bowie that Kim scavenged from her own apartment. Their comeback was topped off when they jointly won the Jean Banchet Award for Best Rising Chef in early 2017. The two-person show was built for regrouping, not for the long haul—Kim says, “It was small enough and controllable enough. We learned a lot of great lessons about business and how things run and what to expect.” After about a year and a half, Montagne wound up at Nico Osteria—one of Kim’s former gigs as she moved around the One Off Hospitality restaurants. (They’re no longer a couple but remain friends.) Kim thought for a while about just going back into a big restaurant—”Maybe that’s where my life is headed,” she says she thought—but her idea of how to do Korean food for an open-minded non-Korean audience stuck with her. At first they were like, ‘Oh, well, we don’t know if you’re Korean enough to cook Korean food.’ Which is really weird coming from your parents! 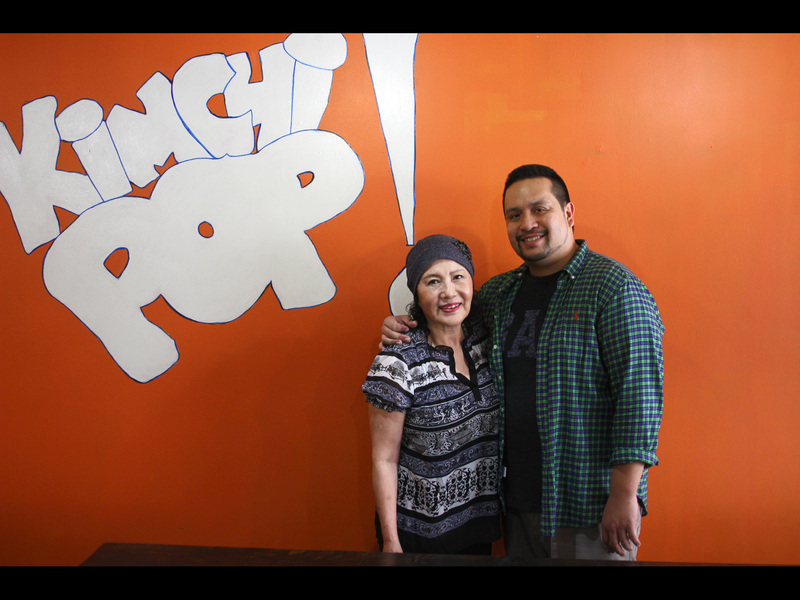 Davila pointed her to Stephan Outrequin Quaisser, whose LM Restaurant Group is involved with several smaller restaurants around the city including Mi Tocaya, Bistronomic and Troquet. “He’s very much like, in order for the restaurant to be successful, the concept needs to be 100% yours, the food needs to be 100% yours. He’s really just here as support, because he’s done this before,” Kim says. What Outrequin Quaisser also offered her was an existing restaurant space—one that, after a successful run as the wine bar In Fine Spirits, had seen a number of concepts come and go: Premise, Taverna 750, LM group’s own Brasserie 54, and The Brixton. Kim is trying to apply lessons from previous experience in the space. For one, she said no to renting an upstairs space, which various previous tenants had tried unsuccessfully to make effective use of. “I’m happy with this, this is three or four times the size of Snaggletooth,” she says of the first floor space she’s using. The bar, which has been a feature of the space as long as anyone can remember (maybe this far), presents another problem—it implies a neighborhood tavern, which worked for In Fine Spirits and The Brixton, but proved a disconnect for Premise’s modernist food. “I’m 34 years old, I just want to go to bed at 11 or 12 at night, I can’t be up till 2 or 4 in the morning managing a bar, goodness gracious no,” Kim says, settling any question of being a drinking hole. Instead, she cut the actual bar service area in half, and turned the end of it into a two sided communal table with eight seats (a bit like the one that extends from the bar at Parachute). The once-dark bar is now well-lit, cheerfully decorated (a different Bowie artwork this time), and ready to open at the beginning of May. She has enough of the dutiful Korean daughter that it’s hard to imagine her rebel phase going too wild. 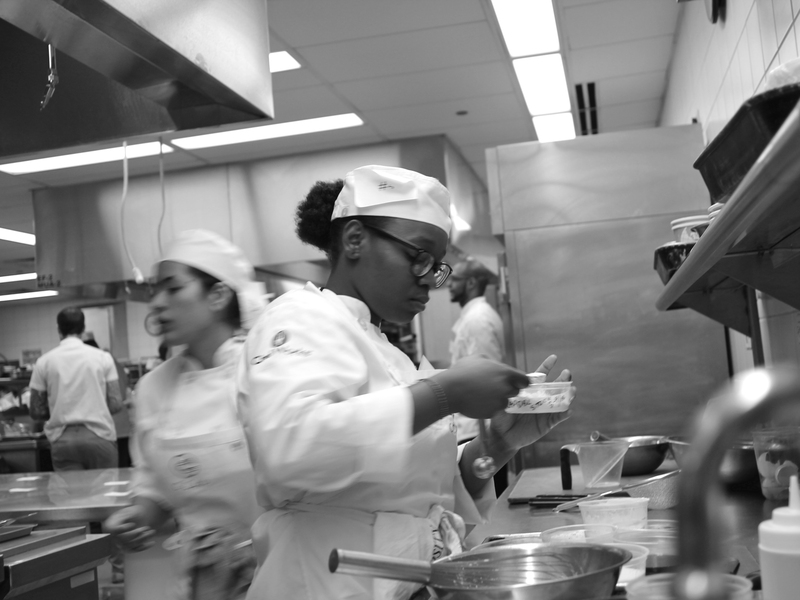 In any case, she signed up for cooking classes at a community college, and dedication quickly kicked in—”I enrolled in Kendall College and never looked back.” In 2012 she competed in the regional S. Pellegrino Young Chefs Challenge. 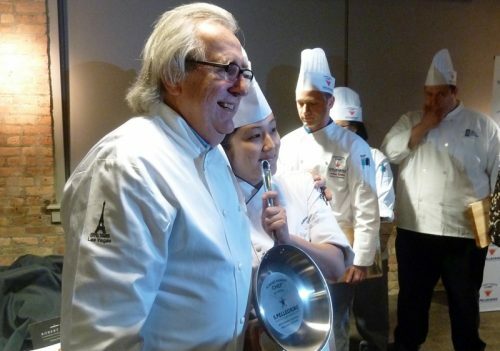 The judges, who included Chef Jean Joho (Everest), Chef Joncarl Lachman (Vincent), and the then-writer for Grub Street Chicago, one Michael Gebert, selected her to go on to the national competition—which she won later that year in Napa. Which must have been reassuring for the parents who had watched her drop out of a Korean-parents-approved career in medicine a few years earlier. “My parents immigrated here in the 70s, and I was born here,” she says, growing up near Schaumburg. “As a child of immigrants, you kind of have this weird duality of, am I Korean, am I American, sometimes you don’t feel Korean enough, sometimes you don’t feel American—you’re in this interesting little area, floating and trying to figure out where you belong. Okay, so it’s a menu aid. Is there something more to it—some deeper connection to the way Italians eat, the way Italian food spoke to her? “I was talking with my parents about doing this restaurant,” she says. “At first they were like, ‘Oh, well, we don’t know if you’re Korean enough to cook Korean food.’ Which is really weird coming from your parents!” she laughs. “But I understand, the food that I grew up with is very different than what they grew up with, living in Korea, in small towns where they didn’t know anything else. That’s what they think of as Korean food—or Cho Sun Ok or San Soo Gab San. “I think for my parents, they came here in the 70s, and the Vietnam War was going on—it wasn’t a great political environment for them. There were little stigmas around being Asian. Nobody wanted to touch kimchi. I showed my mom something in Bon Appetit about gochujang. ‘Look, mom, this is in a publication that is read nationwide, and they’re talking about Korean products. They’re talking about how to make kimchi. People are a lot more open-minded now than they were 30, 40 years ago. She doesn’t really directly answer the question, but I get it. Everybody loves Italian food. Italian families are what we think of when we think of a big feast with the whole family around the table. She grew up with Korean taste memories, but she responded to how Italian food was accepted by the mainstream culture, how it came to stand for things we mostly didn’t have any more in our busy lives. She saw how making Italian food for somebody was a gift of love. 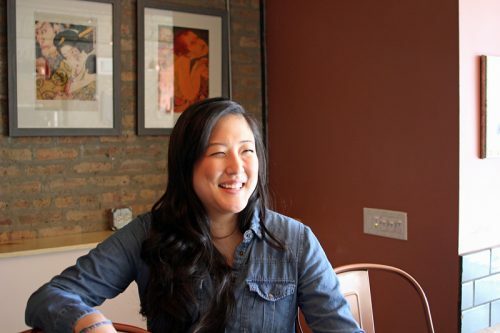 At Passerotto, she wants to serve you a big Italian feast—of Korean food. 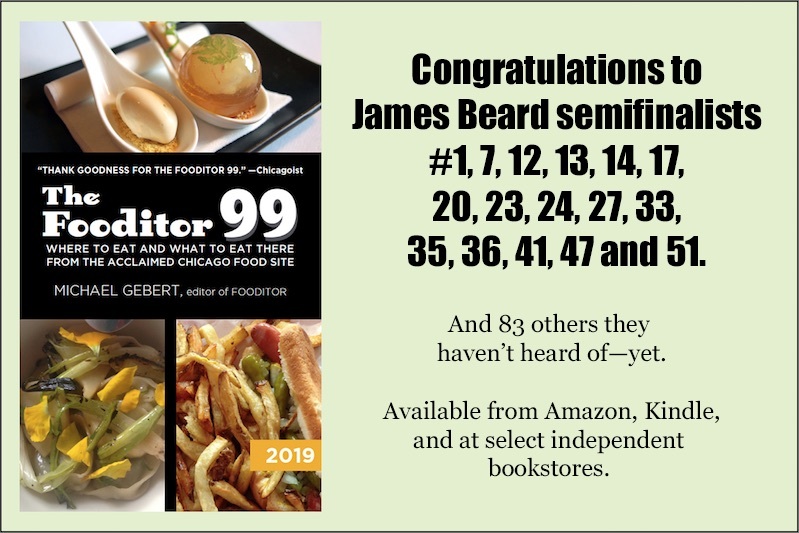 Michael Gebert likes both Korean and Italian food as editor of Fooditor, why wouldn’t you?